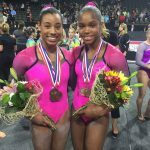 Chicago is really not that far from Westerville, Ohio, but still it seems a long way to go to watch a gymnastics meet. 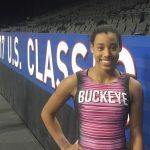 Not so for two young Buckeye fans who make the trip to support Buckeye’s three International Elite gymnasts competing in the US Classic Championships. 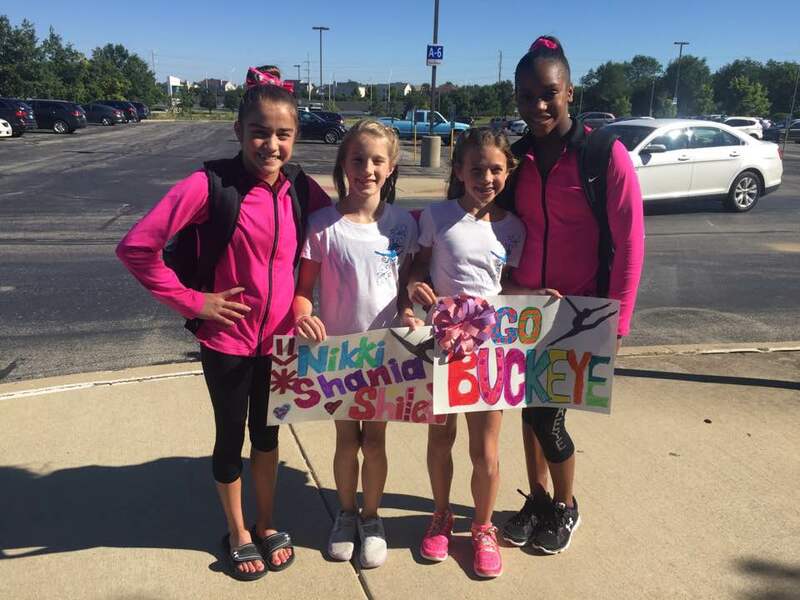 Buckeye’s Junior International Elites, Nikki and Shilese, pose for a photo with two of their young fans outside the Sears Centre Arena.